A popular festival will be taking place at Forest Park tomorrow. 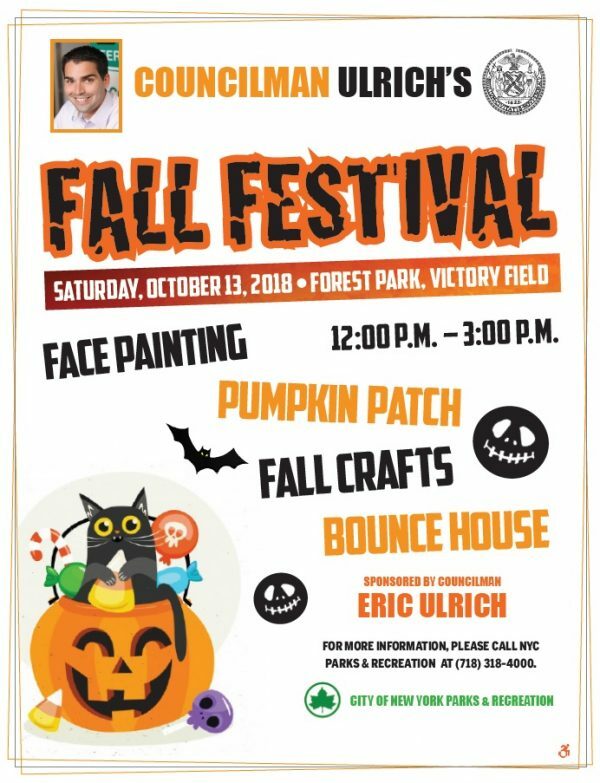 The Fall Festival–an annual event that features a pumpkin patch, a bounce house, music, face painting and fall crafts–will be taking place Saturday at Victory Field, located near the intersection of Woodhaven Boulevard and Myrtle Avenue. The event will run from 12 p.m. to 3 p.m. This year’s festival will be sponsored by Council Member Eric Ulrich. For more information, contact Margaret Camilla-Rosas at [email protected] or (718) 235-4100.